Fisher Price has a new toy that is geared toward toddlers. It is on its face a really simple robot but if you look closely it offers a great deal of depth. It is a toy that will delight toddlers, but may also be used by older kids and even adults. When a toy can intrigue all people it has the possibility of being much more that it was initially intended. I have seen highschool teams work with robotics doing similar tasks that are now being done by 4 year olds with the Code-A-Pillar. The high school robots were just harder to use and figure out. This robot is elegantly, simple and it is that simplicity that makes it a thing of beauty. 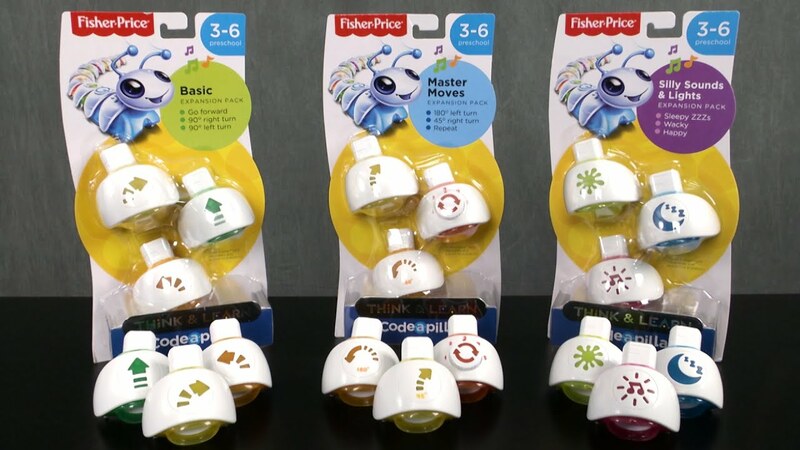 The Code-A-Pillar is a toy that is broken up into segmented pieces that click together. Each piece is snapped into each other easily through an attached USB connection. Each segment has a symbol on it showing an action like Turn Left, Go Forward, Make Noise. When the Code-A-Pillar is turned on it lights up happily and then runs through the sequence of actions laid out in the segments of the Code-A-Pillar. Kids can begin playing and experimenting with the sequence of the segments to make the toy do different things or at least in a different sequence. 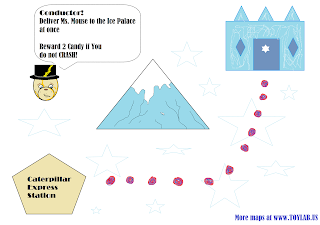 By putting the segments in different sequences the kids can begin undertaking little challenges like making the Code-A-Pillar cross a mapped out path, or go around obstacles. When kids master this there is a App that can add additional tasks and options. There will also be expansion packs that will have all kinds of new things for the Code-A-Pillar to do. 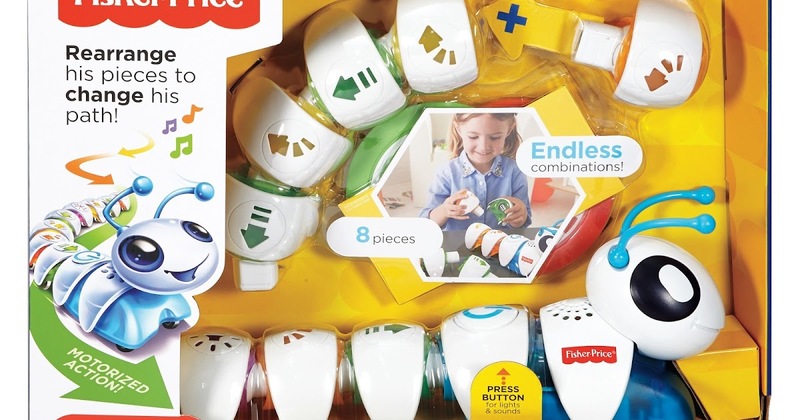 The secret sauce of this toy is that it teaches CODING! efficiently and save you time. While coding is something that is nice to have for my generation, it is going to be seen as an outright requirement for future generations. The American Education in Coding is woefully unprepared for the future. This may sound crazy but if I had my way, kids would be spending an equal amount of time learning programming as they spend on Science, English and Math. It should be treated like a new core class. Schools however are not treating it that way. Kids are very lucky if they get 2 classes that cover basic computer skills and often one of those is simply keyboarding. This does nothing to teach a kid programming, 3d Modeling, Website Design, 3d Printing or the myriad of other computer technologies. If you want your kids to learn coding you need to be the one to introduce it to them. The Code-A-Pillar is a great first step in this direction. The best part of Code-A-Pillar is that your kids will begin learning a very USEFUL skill but do it while playing and having fun. 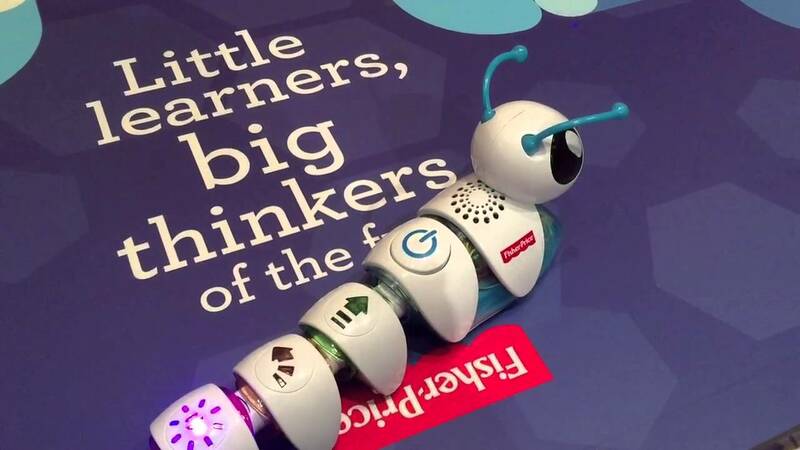 The Code-A-Pillar is also such a great toy that they are going to want to play with it, and explore how to use it. Further there are ways by using crafts, additional segment parts to increase the amount of exploration they can do with this toy. I Love this toy! It is a beautiful design and a revolutionary simple idea made fun. I love this toy but there are some things to think about to take into account. The Code-A-Pillar makes a lot of noise which can drive parents nuts. I do not see an option to turn the volume off. It does best on a flat hard surface (Tile or Hardwood floors are the best). It can work on thin carpet but a thicker carpet it will often get stuck. It does better when you have a descent amount of space. If you don't have a lot of space it could be a struggle for you child to use it. If you like the Code-A-Pillar I highly recommend checking out the Code-A-Pillar expansion packs. We have a review of all of them in the link at the bottom of the post.